As mentioned earlier, the elevators in the hotel were modernized ca. 1998 during major renovations. 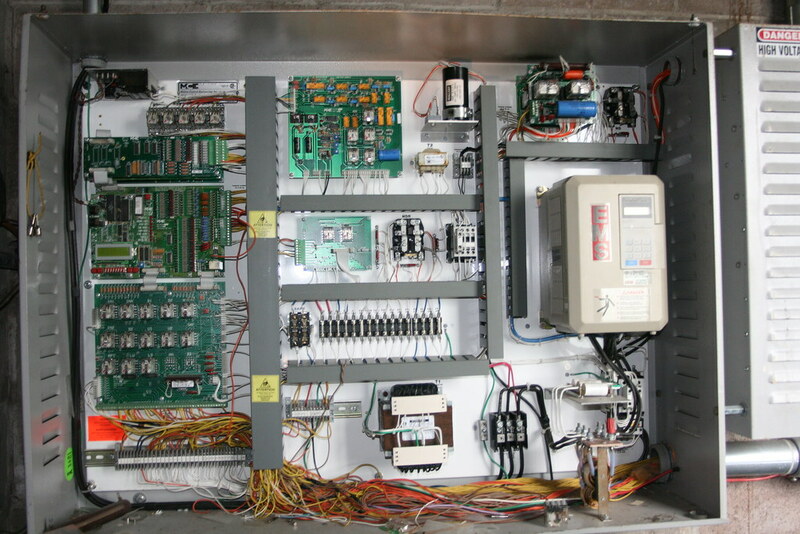 The original electro-mechanical elevator controller which was long obsolete was replaced with this MCE controller. It is actually a rather simple controller, despite having both a front and side door in the cab, and despite having the unusual "Sabbath" mode. Modernizing the elevators was likely very expensive for the owners of the hotel, but, it was unlikely that the previous controller, without even fire service, would have provided adequate passenger service (assuming it could even be powered back on and brought up to code).